I spoke last weekend (6/16/2012) at the first ever IT Pro Camp in Jacksonville Florida. It was a great event with over 100 people attending. Breakfast and Lunch was provided with a great after event at Tilted Kilt. One of the great sessions I attended, besides my own , was Jose Chinchilla. He did a great job showing the new T-SQL features in SQL Server 2012. 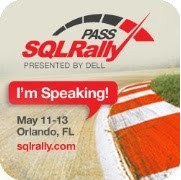 My session was on the new features in SSIS in SQL Server 2012. Over all it was a great event and Blain Barton (Blog) from Microsoft did a great job. I look forward to next years event. This entry was posted in SSIS, T-SQL, Training and tagged SSIS. Bookmark the permalink.